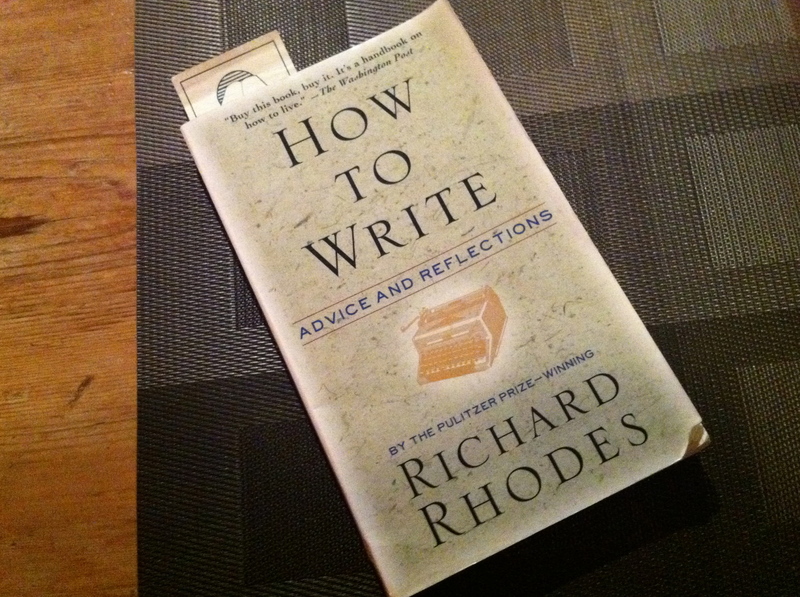 My mother gave me Richard Rhodes’ How to Write more than a decade ago when I graduated High School. It came with me as I moved across Canada and back again regardless of the fact that in my first attempt I didn’t finish it. All these years later I have picked it up and devoured it. If you are interested in writing as a practice I whole heartedly recommend it. In skillfully selected prose Rhodes covers many topics relevant to an aspiring writer. From the different forms, the importance of foundations, the process of editing and the realities of the business Rhodes entertains and enlightens. The Element and I have a dogged past. A year or so ago I was surveying the books in my local book store. I wandered through the store deep in thought. I had been struggling to keep the stress of my day job from encroaching on other parts of my life. I looked down and saw The Element by Ken Robinson, and I expressed an internal scoff… The cover read: “How finding your passion changes everything”… I thought to myself “Thanks Ken, that’s helpful… Basically the old adage: “Do something you love and you’ll never have to work a day in your life”… Not sure I need to read a book to get that.” Instead of leaving with a book I somehow left with the idea of enrolling in some form of continuing education. This led me to enrol in the Fine Arts Diploma program at Uvic. I had many reasons for enrolling, one of which was just to give my brain something compelling to think about other than work. The Element showed up again not long after that initial encounter. I had helped facilitate a 100 person conference, and as recognition facilitators and organizers were asked to pick a book from a selection that had been prepared at the front of the room. The Element was among them, I didn’t pick it. In Fine Arts 101 I was introduced to Sir Ken Robinson via his inaugural video recorded TED Talk. At the time I didn’t make the connection with the book I had seen prior to enrolling at UVic. 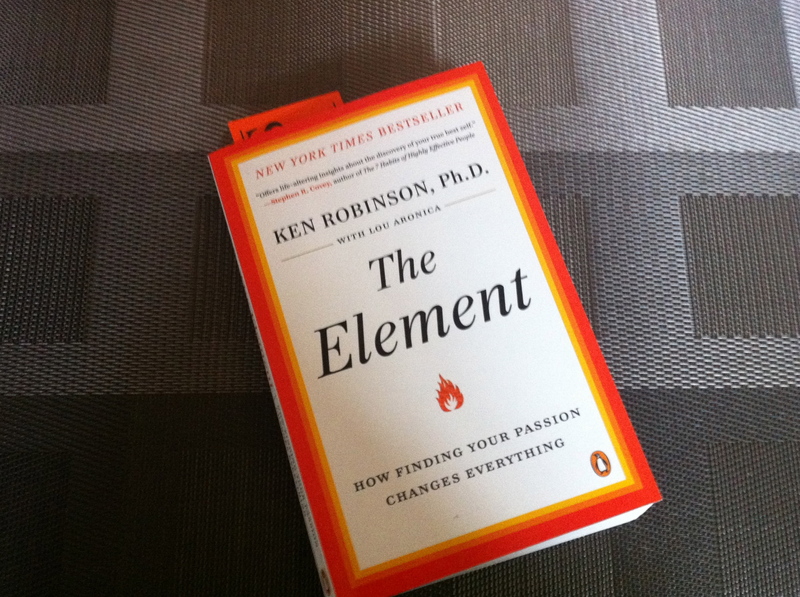 Close to a year later in a moment of frustration related to my return to academia I created the Sir Ken Robinson Video Marathon post, and it was only then that I started to grasp the connection… I returned to my local bookstore and bought The Element as well the only other in stock book authored by Ken Robinson. After this dance, which transpired over nearly a year, I read The Element in a day and a half and I loved it. It made me laugh and it also brought me to tears. Only time will tell if it will have meaningful consequences in my life, but I am hopeful that it will. Obviously your mileage may vary, but for me it was brilliant. My wife asked me why it was so wonderful, and it was hard to describe at first, but here’s my thoughts on the subject. Using four related themes this is why The Element sings. The Element is motivational. Motivational has become something of a dirty word, with cheesy motivational posters and their parodies becoming a cultural phenomena. But alas I cannot think of a better descriptor. It makes you want to sit up and do more, be more, achieve more, contribute more; it is motivational in a profound way that is hard to find the words to describe; it doesn’t just lift your spirits as might be the case with something inspirational… It really makes you want to take action, to do something, to act. It is relatable. You get it right away, including all the many facets of what is detailed such as; the stories of the super successful, what the element is, and how do you know when you have found it. It is all very accessible, the obviousness hinted at on the cover, which I originally scoffed at, is actually a huge asset to this book. 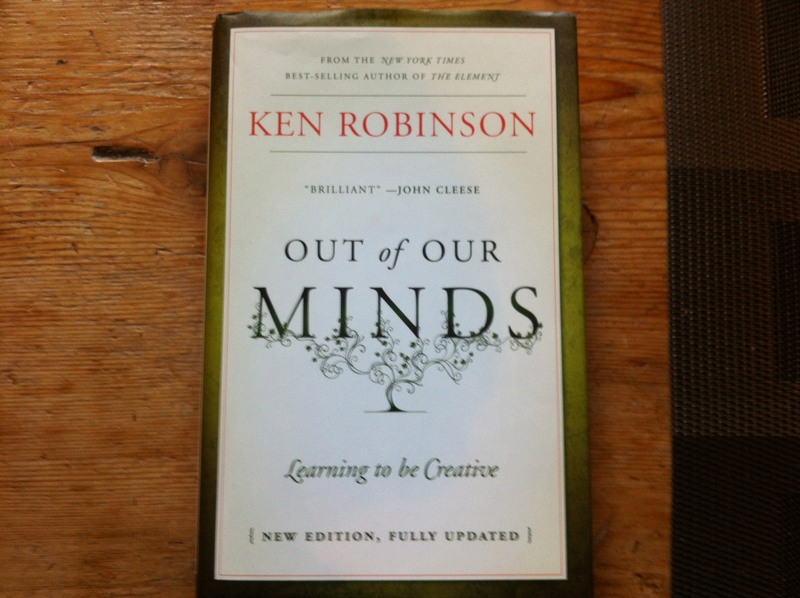 Sir Ken Robinson’s advice is balanced. It’s not all black or white. It’s not quit your job and join an Ashram. It’s not think positive and love your slavery. It’s not here’s the one answer. It’s balanced and therefore more realistic, more practical and more motivational than I could have imagined. It opens many doors not just one. It is one of the most hopeful books I have ever read. It promises hope for the individual and convincingly thereby for humanity as well. It makes a cogent case that we can all contribute at our optimal level: It is not something that is restricted to celebrities, superstars, or a lucky few. It also compellingly makes the case that each individual contributing at their peak is the best chance we as a species have to surmount the critical challenges we are facing today as well as the ones we will face in the not so distant future.